With the release of Dessa's A Badly Broken Code, all of the five MCs in the talent-rich Twin Cities rap collective Doomtree finally have solo albums under their belts. Dessa infuses the group's signature underground hip-hop with the lyrical prowess of a slam poet and the melodic ear of a torch singer, bringing a new voice to the testosterone-dominated world of rap. In addition to the usual Doomtree production, Dessa's debut features beats by Big Jess of Unknown Prophets, violin from Jessy Greene (who recently toured with Pink), and guest vocals by Lupe Fiasco collaborator Matthew Santos. The A.V. 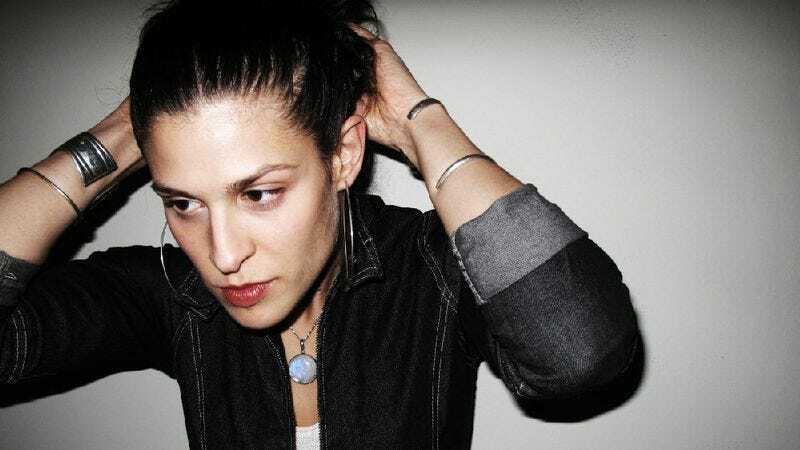 Club caught up with Dessa before her Friday show opening for P.O.S. at the High Noon Saloon to ask about the new album and collaborating with her crew. The A.V. Club: You're about to embark on a 40-city tour with P.O.S. Do you feel you can keep up with his non-stop schedule? Dessa: If I had to do touring as hard as he did touring in 2009, I don't know how good I'd be. I'd have scoliosis and some kind of addiction to something. That's rough. He tours hard. He's had over 200 shows! I've done West Coast quite a few times, and then I've done some spot dates on the East Coast, but I've never done the butterfly route where you hit both coasts and go up to Canada. I'm excited. AVC: What's it like doing shows in cities where you're not as well-established? Do audiences respond to quieter material? D: I'm always shy about that, and I don't know why, because when I go to a concert and I see melancholy music, I'm always really moved. But I'm unlikely to throw my hand up and take my shirt off and scream. When people are in the experience of liking rowdy, aggressive music, you can really tell that they're liking it because they're flipping out, and someone who is really enjoying melancholy, slower music looks a lot like someone who is not enjoying slower, melancholy music. [Laughs.] It's just harder to tell the two apart. I've been really heartened after the set when people come up and say some nice things, that it really meant something to them. Generally the response has been good, particularly on the West Coast. Like I'm ready to drop my microphone: "Wow, you guys know the words!" I'm just stunned. AVC: How long did it take you to record Code? D: If you put it in hours, it'd be a reasonable amount of hours, but if you measure those in years it's an embarrassing amount of years, in part because of the neurotic re-recording. You know when you are at a perfume shop, and your nose gets exhausted so they hand you a little jar of coffee? Trying to be a performer and the producer at the same time is not a skill that comes effortlessly to me, because my ears exhaust themselves in the same way that your nose gets fried. So for me it really helps to have somebody good around to say, "That's the take, that sounds good" or, "That does not sound good." AVC: You've put out an album under Doomtree's "bootleg" False Hopes series, and collaborated on Doomtree's group record and other members' solo work, but this is your first official solo album. How does it differ from the other work you've done? D: On the first projects, on my first False Hopes, I was excited but terribly nervous. In subsequent projects, collaboratively, I think everybody kind of finds the spot where our styles comfortably overlap to make a collaborative project. I think I have a better idea of what I'd like to do as a lyricist [on Code]. The album itself is very varied, in that there's some tracks that are a cappella, kind of churchy songs, some tracks are rap bangers, and some songs are melancholy, kind of a torch vibe. AVC: Collaborating in Doomtree, do you run into creative arguments, or does it tend to go smoothly? D: It neither goes smoothly nor is it riddled with arguments. I think the producers are really good at collaborating effortlessly, but the rappers in Doomtree, because we're accustomed to having total artistic control, it's still a new and difficult process. It isn't difficult because we're fighting, but it's difficult because we don't know what we're doing sometimes. How do we make this song sound cohesive without me moving into your house for four days to try to get it done? I think that's the challenge that a lot of rappers have, because songwriting in rap music is so modular. You get your 16 [bars] and I get my 16, and we have a hook. … So for us, it's been laborious but not argumentative. AVC: A Badly Broken Code will also be your first foray into starring in music videos. What was the experience of making the video for the song "Dixon's Girl" like for you? D: I really lucked out, because Doomtree certainly does not have the budget to make a proper, professional, polished music video, and we lucked into some artists that were willing to give us that on an indie, shoestring budget. … The narrative had been about a woman that I met while traveling, and you don't meet very many female performers in the hip-hop scene. So, when you do, and you like them, it's an exciting, kind of kindred moment, because it's a few years in between each visit usually. The video is the first one that I've ever seen of myself; I was excited and embarrassed. I had underestimated the challenge of it. It's almost like when you see actors go from stage to film. Sometimes their performances are so nauseatingly hyperbolic. [Laughs.] I think initially my performance on playback revolted me, because I seemed so histrionic, so dramatic and over-the-top. I feel like I'm trying to project my feelings to an audience two feet away. I certainly don't need my eyebrows to go up to my hairline to express surprise. So, for me it was a re-education in nuance, which is what I love in lyricism.